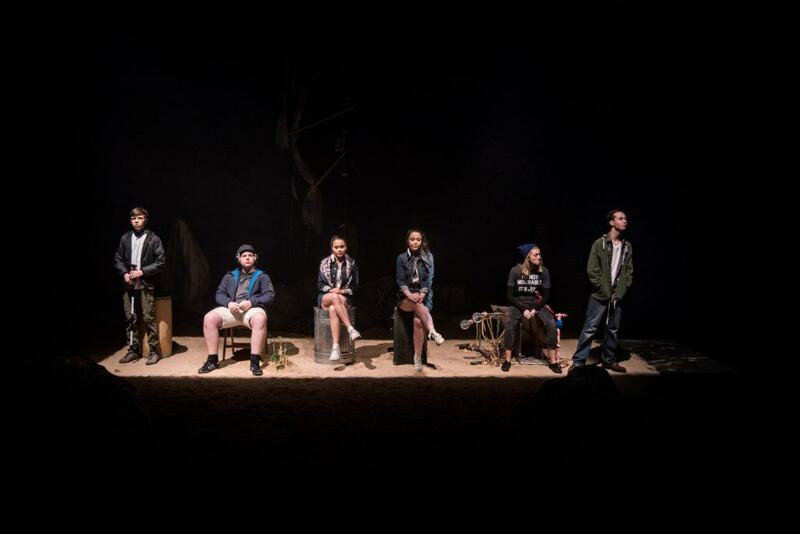 In September 2015 OTW was selected along with a number of other youth theatre groups / companies around the country to take part in the National Theatre Connections festival. We were given Simon Armitage’s play ‘Eclipse’ to produce. The first performances of this was in March 2016 at the Grange Arts Centre. The piece features a cast of 7 teenagers all from different Oldham schools or colleges along with a young technical team from Oldham College and a young assistant director from OTW. In May we will be performing the piece again at the Bolton Octagon (our regional NT Connections host venue) alongside other North West groups. There are 12 plays, each being produced several times by different groups. For each play, one group / company will be selected to perform one final time at the National Theatre London as part of the festival finale.